After an unpredictable month, Libre has finally left the hospital to begin his new life in the loving arms of his savior and mom at his forever home. He's healthy, happy and, more importantly, - free from the shackles of neglect that nearly took his life. 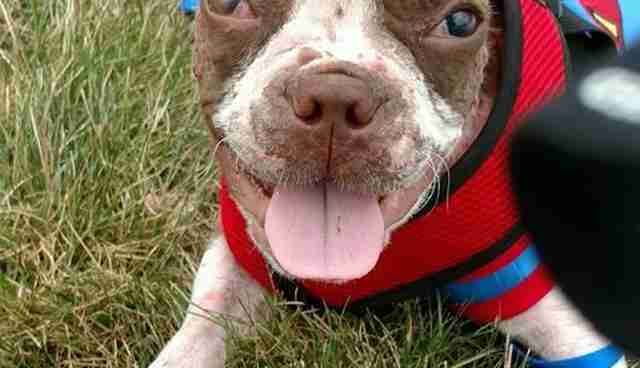 The Boston terrier puppy's journey began on July 4, when he was found emaciated and clinging to life in Lancaster, Pennsylvania. He lived on a farm where he was under the "care" of a breeder. Libre's previous owner gave him up, and he was taken to the Speranza Animal Rescue. The rescue's founder, Janine Guido, immediately took him to the Dillsburg Veterinary Center to start his journey to recovery. Guido believed in the young puppy and stuck with her decision to support Libre, whose name means "free," rather than euthanize him. 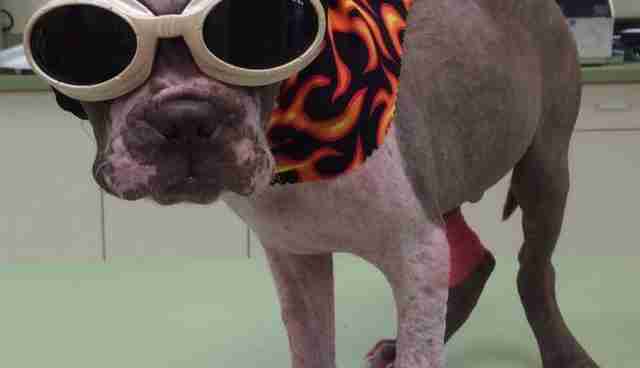 At just 7 weeks old, Libre was plagued with a severe case of demodectic mange - a condition that left him hairless and crusty - along with a slew of secondary infections. 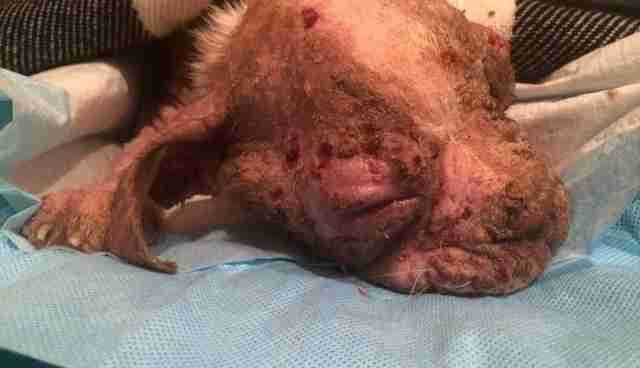 There were ulcers in his eyes and maggots embedded deep in his flesh. His chances of survival looked slim. He was depressed and listless, his overall condition unstable. Each day presented a new challenge for Libre, but he continue to rise to the occasion and fight - over and over - until he was soon able to stand and walk on his own. 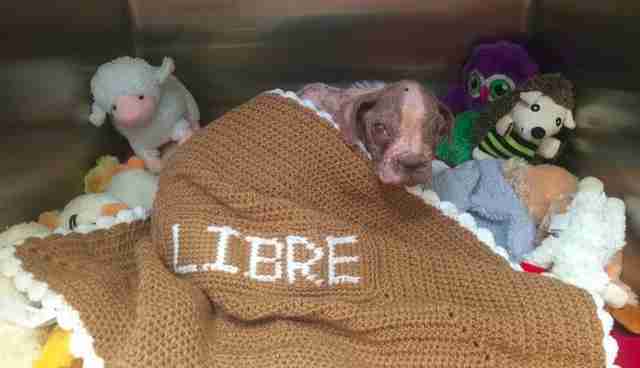 Libre was transformed from a sad dog into one who loves to explore the outdoors, feeling the sun and grass against his healing skin. A vet technician at Dillsburg told The Dodo during his recovery that Libre is a "very sweet" dog who's quite mellow for a puppy. 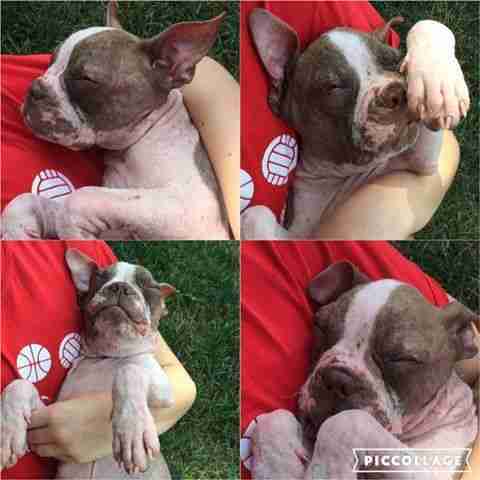 As his heartwarming story grew across social media, Libre gained a legion of supporters, both domestically and internationally. 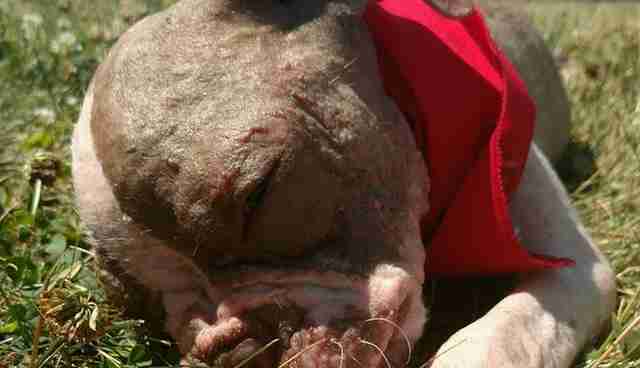 He even has a law named after him in the works that, if passed, would strengthen Pennsylvania's animal cruelty laws. 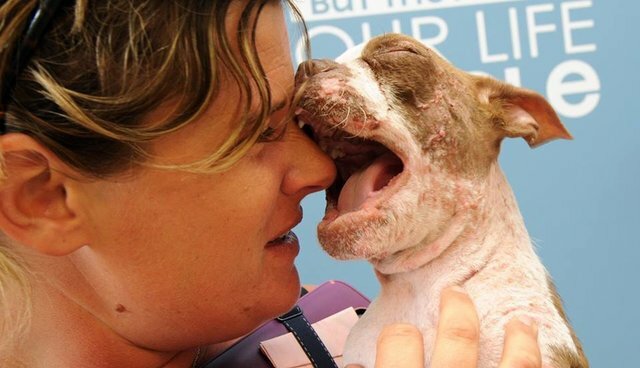 "I wake up shedding tears for you," Janine Guido, founder of the rescue, wrote on Facebook days after Libre's rescue. "I catch myself dreaming of you running around someday. With a wagging tail. With a smile on your face. And with a light in your eyes." Guido's wish for Libre came true. Yesterday, she took him home from Dillsburg, having officially adopted the rescued puppy into her family. Guido currently owns seven dogs, in addition to a few fosters - making Libre the latest to join an already extensive family. "Today was the day I was finally able to bring Libre home with me," Guido wrote on Speranza's Facebook page in a note thanking the lead veterinarian who took care of Libre. "I wish I could put into words how happy that made me feel." You can keep up with Libre's adventures on Facebook. 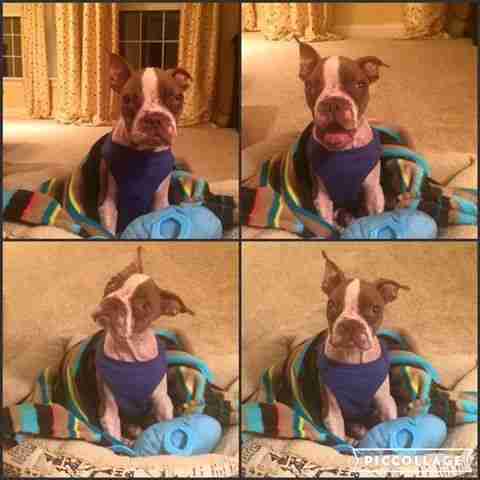 Want to help with Libre's ongoing medical care? Consider making a donation here.